Recently, I have picked up a few skin care testers in my local pharmacy. 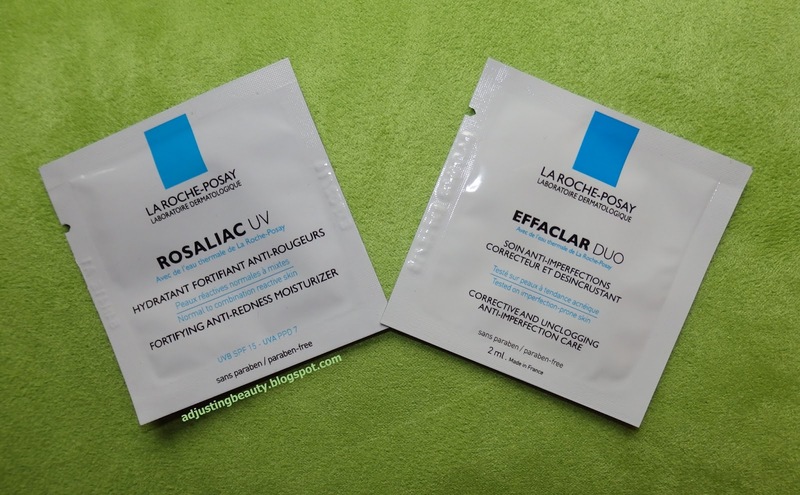 Today I will describe my experience with two creams from the french brand called La Roche Posay. If I may quote some beauty experts, this is a Rolls Royce among skin care brands. French companies are known for having some of the best skin care technologies in their products. 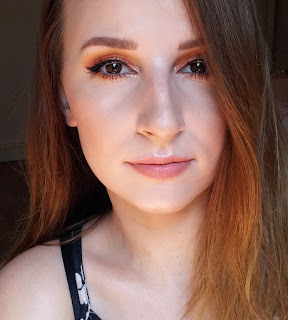 I tried out their Rosaliac UV and Effaclar Duo creams. Both products are paraben free. 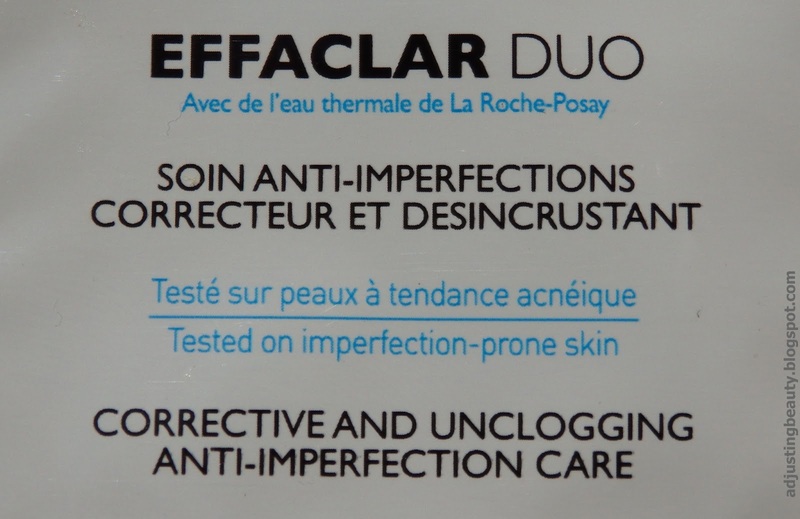 La Roche Posay Effaclar Duo is a product targeted to skin with imperfections and had had some rave reviews among beauty youtubers and bloggers. I decided I have to try it, if it will stop me from breaking out. Description of this product goes like this...La Roche-Posay EffaclarDUO is a complete skincare product that combines 4 active ingredients to act on the two main symptoms of skin with imperfections: Severe localised imperfections: Niacinamide and Piroctone Olamine to fight against bacterial proliferation and eliminate imperfections. 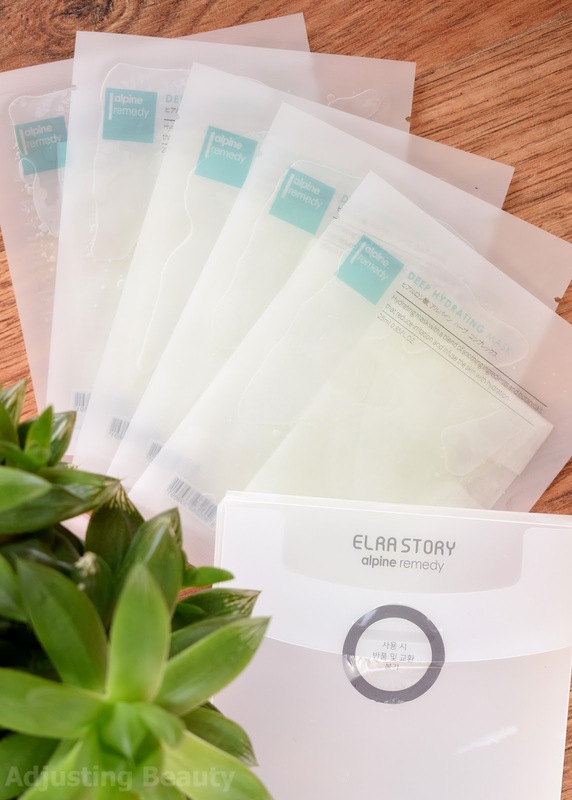 Pores clogged with sebum: the combination of LHA and Linoleic Acid unclogs pores while eliminating the accumulated dead cells responsible for blockage. These active ingredients are combined with soothing, anti-irritant La Roche-Posay thermal spring water to reduce redness. In my experience the cream is very light textured, white and it dries to a nice matte finish. I actually love it as a base for my foundation, because it is also a bit sticky, even though it dries matte. It smells of cucumbers:). I have to say I liked it, because I have combination skin, that can get very oily in summer time. That's also when I tend to get a lot of breakouts. I have been using this cream for 2 weeks and in that time I did get one pimple on my forehead. Considering I usually get more and some really small ones, I think that's a pretty good result. Plus, I would have to use the product a lot longer to get the full feel of it. In conclusion I like the matte finish that it gave me, it's great as a base for make up and it doesn't seem to clog my pores. I am contemplating on buying the full size, especially for the hot summer days. 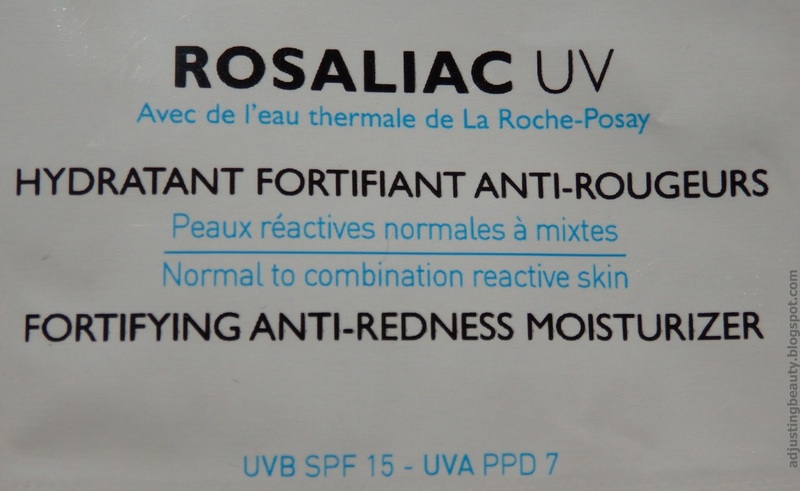 La Roche Posay Rosaliac UV is a product meant for anyone that have problems with redness on the skin. It's a daily moisturizer that targets any redness and flushing on the skin. Description says this...Triple protection to moisturize and limit the appearance of daily redness and heated sensations : - Vitamin CG to strengthen fragile blood vessel walls. - Vitamin B3 to fortify skin against external irritating factors and climatic variations. - Filtering system with Mexoryl XL to protect the skin against UV rays, major aggravating factors in skin redness. I wanted to try this cream because I have certain red spots on my skin and I tend to get red spots in the middle of the day, as irritations on my skin. So, I was curious how this product could help me. I do have combinations skin, but I also have very sensitive skin, which can be a bit complicated to work around. Anyways, the first thing that surprised me was the color of the cream. It was white, light texture, but had a definite green tint to the cream. I was like...are you serious? Is this just a green cream, that is going to cancel out the complementary red color?! I don't know, it was just...funny. The smell, I did not like, it smelled to me like nettle. I tried it for about 5 days-because I only had one tester. The cream did actually cancel out my redness, that I naturally have on the skin. This took a few minutes for the full effect and then I also noticed that the effect faded away after a while. The texture was light moisture with a semi matte finish and I like that it wasn't heavy, rich feeling on the skin. In conclusion the cream has canceled out my naturally slightly red spots. It did not help with redness, when my skin was really irritated-like picking on my pimple or something else. But I also found that those effect went away after a while. That is why I don't intend to buy the full size. Skin care products are different for anyone. I wanted to share my experience with these two. Just because something didn't work for me, it can totally have a different effect on you. Keep that in mind. Also, I would need to use these creams for a lot longer period of time to really get the full results. What is your favorite skin care brand?